I’m sharing an oldie but a goodie today. I first made these a few years ago along with a few other cookie varieties for a road trip with a big group. Everyone freaked out over them and they were definitely the favorite of all the treats. After that trip they were dubbed the “pregnant cookie” and the name stuck. 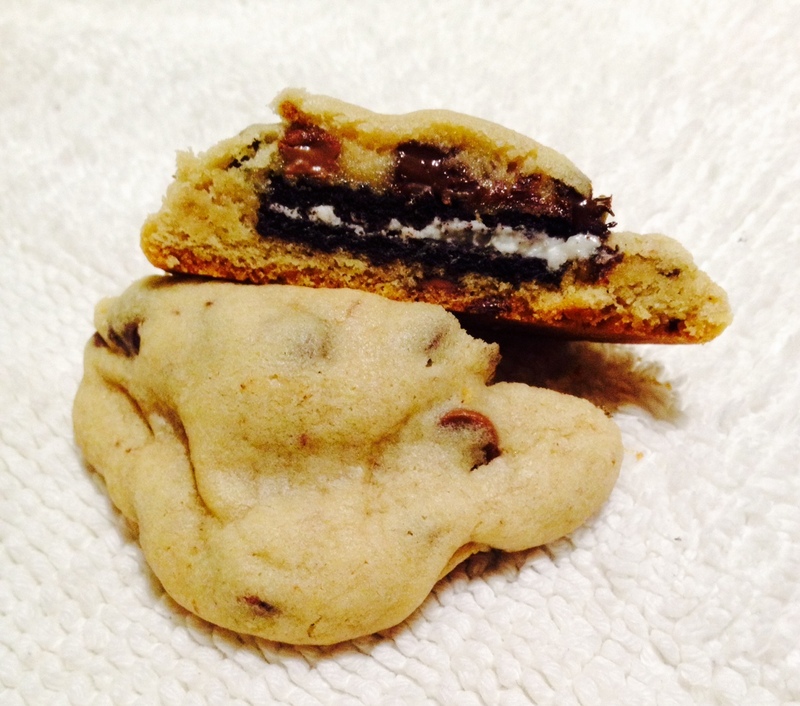 Essentially, we have two chocolate chip cookies enveloping a full size Oreo. So crazy and indulgent. I’ve made them many more times over the years and they are a total crowd pleaser each and every time, I assume because of the surprise inside. These cookies are like a 3-for-1 and beg for a big glass of milk to go alongside. I couldn’t find Double-Stuff Oreos this time around, but if you can, do it. They make these even better, if you can imagine. Preheat oven to 350 degrees. Line two large cookie sheets with parchment and set aside. Beat butter and sugars together in a large bowl until light and fluffy. Stir in eggs and vanilla. Mix the dry ingredients in a medium bowl. Add the dry ingredients to the wet and mix until combined. Stir in the chocolate chips. Take one tablespoon of cookie dough and place on top of an Oreo cookie. Take another tablespoon of dough and place on bottom of Oreo cookie. Seal edges together by pressing around the edges until the Oreo cookie is covered totally in dough. Bake cookies 11-13 minutes or until lightly golden and just set on top. Do not overbake! Let cool for a few minutes and then move to a cooling rack. 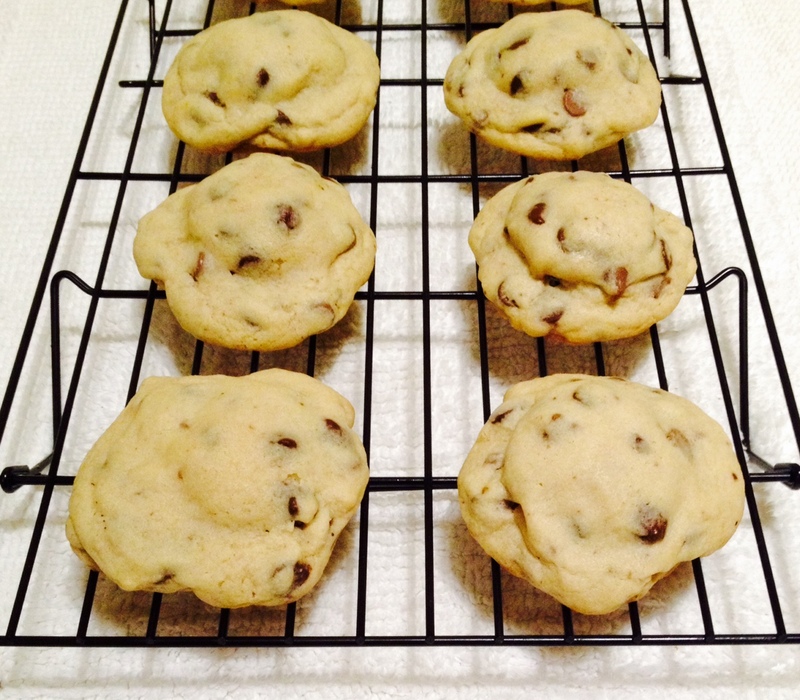 Store cooled cookies in an airtight container.